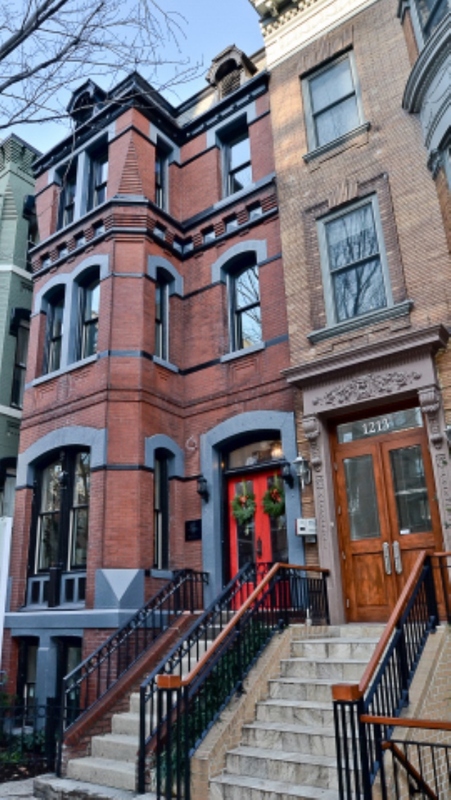 The Savannah Row is a 8 unit condominium complex in Logan Circle. This residential development offers a variety of floor plans: 1 bedroom units with 1 bath, 1 bedroom unit with 2 baths plus a den, and 2 bedroom units with 2 baths. This development is a restoration project that was built with sustainability features.